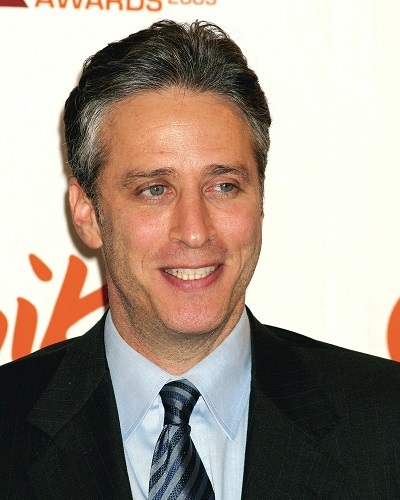 Jon Stewart is an American television personality, actor, comedian, writer, producer, and director. He was the host of The Daily Show with Jon Stewart from 1999 to 2015. Jon is the son of Marian (Laskin) and Donald L. Leibowitz, a professor. His parents’ families were both Jewish (from Austria, Poland, Ukraine, and Belarus). He is married to Tracey McShane, with whom he has two children. Jon’s paternal grandfather was named Max Leibowitz. Max was an Austrian Jew. Jon’s paternal grandmother was Rachel “Rae” Rosenfeld (the daughter of Sam Rosenfeld and Sarah Kleinberg). Rachel was born in New York or Austria, of Austrian Jewish background. Sarah was the daughter of Anna. Jon’s maternal grandfather was named Naum/Nathan Emannilovich Laskin. Naum was born in Manzhouli, China, and later lived in Tientsin, China. He was of Eastern European Jewish descent. Jon’s maternal grandmother was named Fannie. Fannie was born in New Jersey, and was also Jewish.